William Shakespeare is probably the most widely-read author in the known world. His works have been translated into over 45 languages, so it’s not surprising that he’d also be the first author to be translated and performed in an alien language. 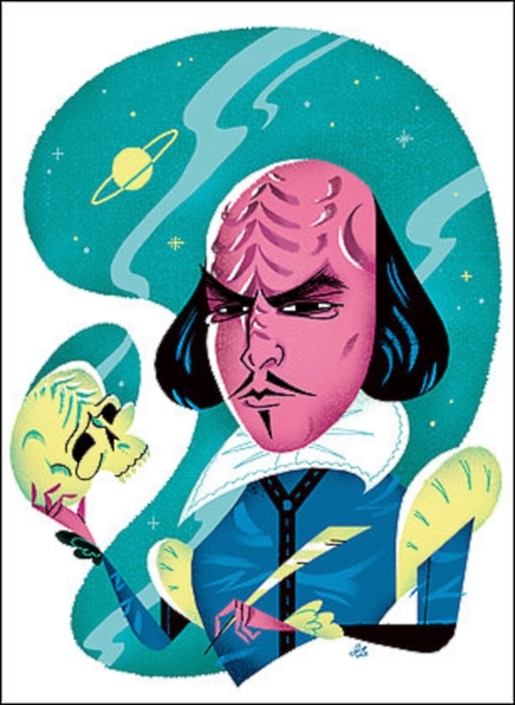 Two Shakespeare plays, Much Ado about Nothing and Hamlet, have been translated from the Bard’s English to the Star Trek language Klingon as part of The Washington Shakespeare Company’s annual benefit show. Two actors will take the stage; one working in English, and the other working in Klingon, to read selections from Shakespeare’s works. “It kind of fits into our company identity, of trying to breathe some fresh air into the classics, of doing something really, really different with them,” sais the theater’s artistic director, Christopher Henley. “It seems a way to say that we’re not as reverent as other companies in town.” It’s also a good way to get attention from the Internet for something pretty standard. Hamlet is a fitting choice for the Klingon translation, as it has already been adapted into The Klingon Hamlet by the Klingon Language Institute and is Shakespeare’s most-translated play according to The Folger Shakespeare Library. It was also mentioned by a Klingon ambassador at a dinner party in Star Trek VI. Impressively, Shakespeare’s iambic pentameter will stay intact, even in the tongue of Mr. Worf. Interestingly enough, the head of the Washington Shakespeare Company is Marc Okrand, the linguist who helped invent Klingon for Gene Roddenberry.